Watford won their last 5 away games in Premier League. Tottenham scored in last 7 away games in Premier League. Liverpool scored in last 8 games in Premier League. Manchester United has over 2.5 goals in their last 4 home games in Premier League. Newcastle United scored in last 3 games in Premier League. Watford scored in last 6 away games in Premier League. Watford scored in last 12 games in Premier League. Newcastle United has over 2.5 goals in their last 3 games in Premier League. Crystal Palace has under 2.5 goals in their last 3 games in Premier League. Watford scored over 1.5 goals in last 3 away games in Premier League. Wolverhampton Wanderers has under 2.5 goals in their last 3 away games in Premier League. Liverpool won their last 8 games in Premier League. Wolverhampton Wanderers won their last 3 games in Premier League. Liverpool has over 2.5 goals in their last 3 games in Premier League. Burnley has under 2.5 goals in their last 3 games in Premier League. Liverpool won their last 5 home games in Premier League. Watford allowed opponents to score over 1.5 goals in last 6 away games in Premier League. Wolverhampton Wanderers has under 2.5 goals in their last 5 games in Premier League. Liverpool scored in last 5 home games in Premier League. Leicester City has over 2.5 goals in their last 4 games in Premier League. Leicester City scored in last 9 games in Premier League. Tottenham has over 2.5 goals in their last 7 away games in Premier League. Tottenham has over 2.5 goals in their last 10 games in Premier League. Huddersfield Town has under 2.5 goals in their last 4 games in Premier League. Leicester City scored in last 5 home games in Premier League. Tottenham scored in last 10 games in Premier League. Eibar scored in last 6 home games in La Liga. Espanyol scored in last 13 games in La Liga. Real Madrid scored in last 13 home games in La Liga. Nuremberg scored in last 3 games in Bundesliga. Wolfsburg scored in last 5 home games in Bundesliga. Hertha won their last 8 games in Bundesliga. Nuremberg allowed opponents to score over 1.5 goals in last 3 home games in Bundesliga. Wolfsburg has over 2.5 goals in their last 4 home games in Bundesliga. Freiburg has over 2.5 goals in their last 3 away games in Bundesliga. Hertha won their last 3 home games in Bundesliga. Hertha scored in last 10 games in Bundesliga. Borussia Monchengladbach scored in last 5 away games in Bundesliga. FC Augsburg has under 2.5 goals in their last 4 home games in Bundesliga. Hertha scored in last 3 home games in Bundesliga. Werder Bremen scored in last 8 games in Bundesliga. Nuremberg allowed opponents to score over 1.5 goals in last 7 games in Bundesliga. FC Augsburg allowed opponents to score over 1.5 goals in last 4 home games in Bundesliga. 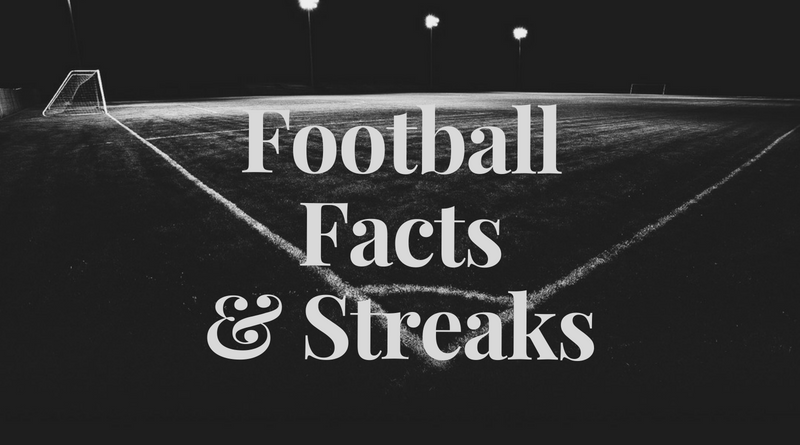 Cagliari has under 2.5 goals in their last 3 away games in Serie A.
Parma 1913 scored in last 3 home games in Serie A.
Cagliari scored in last 3 games in Serie A.
Parma 1913 scored in last 3 games in Serie A.
Toulouse has over 2.5 goals in their last 5 away games in Ligue 1. Montpellier has under 2.5 goals in their last 3 games in Ligue 1. Nice won their last 3 games in Ligue 1. Toulouse scored in last 5 games in Ligue 1. Angers scored in last 3 games in Ligue 1. Toulouse allowed opponents to score over 1.5 goals in last 5 games in Ligue 1. Nice scored in last 3 games in Ligue 1. Montpellier allowed opponents to score over 1.5 goals in last 4 games in Ligue 1. Nice allowed opponents to score over 1.5 goals in last 3 games in Ligue 1. Caen scored in last 4 games in Ligue 1. Saint Etienne didn’t score in last 4 games in Ligue 1. Saint Etienne allowed opponents to score over 1.5 goals in last 3 home games in Ligue 1. Randers has over 2.5 goals in their last 5 games in Superligaen. Vendsyssel scored in last 5 games in Superligaen. Randers scored in last 3 games in Superligaen. Derby County has under 2.5 goals in their last 3 home games in Championship. Sheffield Wednesday scored in last 3 games in Championship. Aston Villa scored in last 16 home games in Championship. Ipswich Town ended draw their last 3 home games in Championship. Derby County allowed opponents to score over 0.5 goals in last 3 home games in Championship. Birmingham City has under 2.5 goals in their last 3 games in Championship. Brentford scored in last 4 games in Championship. Birmingham City allowed opponents to score over 1.5 goals in last 3 games in Championship. Ipswich Town has under 2.5 goals in their last 3 home games in Championship. Brentford allowed opponents to score over 1.5 goals in last 5 games in Championship. Birmingham City ended draw their last 4 games in Championship. Leeds United allowed opponents to score over 1.5 goals in last 3 games in Championship. Ipswich Town scored in last 6 home games in Championship. Ipswich Town allowed opponents to score over 1.5 goals in last 3 home games in Championship. Sheffield Wednesday has over 2.5 goals in their last 3 games in Championship. Aston Villa scored in last 3 games in Championship. San Jose Earthquakes has over 2.5 goals in their last 3 games in MLS. Los Angeles FC has under 2.5 goals in their last 4 home games in MLS. San Jose Earthquakes lost their last 3 games in MLS. San Jose Earthquakes scored in last 10 games in MLS. San Jose Earthquakes scored in last 3 away games in MLS.